Beyond socks and Bunnings vouchers, it can sometimes be hard to find that special something to give Dad for Father’s Day. And it kind of got me stumped for a bit – until I remembered nuts and bolts. I was talking to my sister about what to write about for $5 Fridays for Father’s Day, and she suggested nuts and bolts. 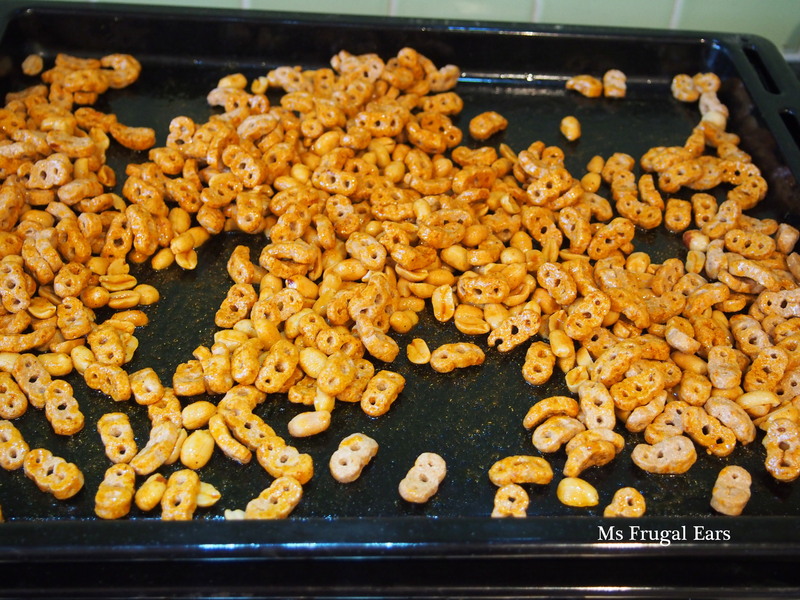 My Nana used to make this, and growing up I remember sneakily snacking on it. As did my sister. I can’t remember Nana’s exact recipe, but I have varied it a bit in any case to give it a bit more kick. You might think that breakfast cereal is an odd thing in this. But trust me, it works and it is delicious. 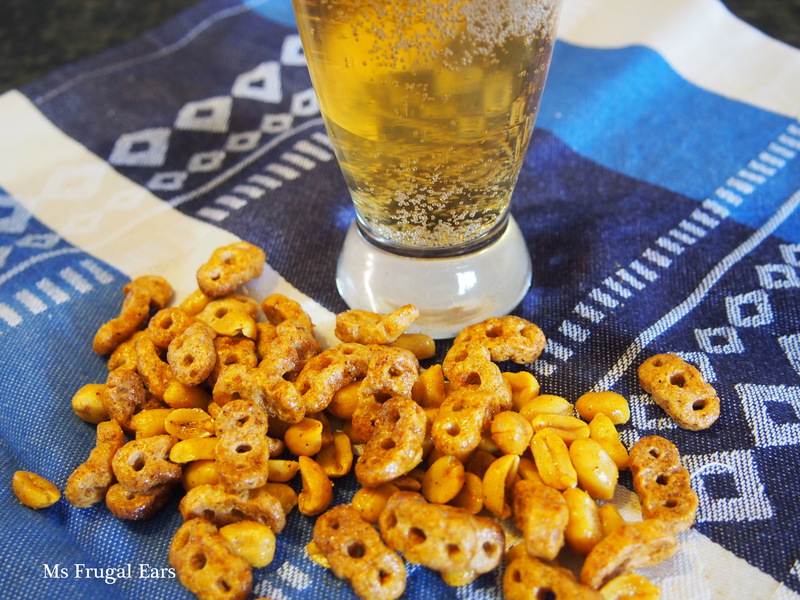 I tried it out on my own Dad, and he was happily snacking on it with beer. 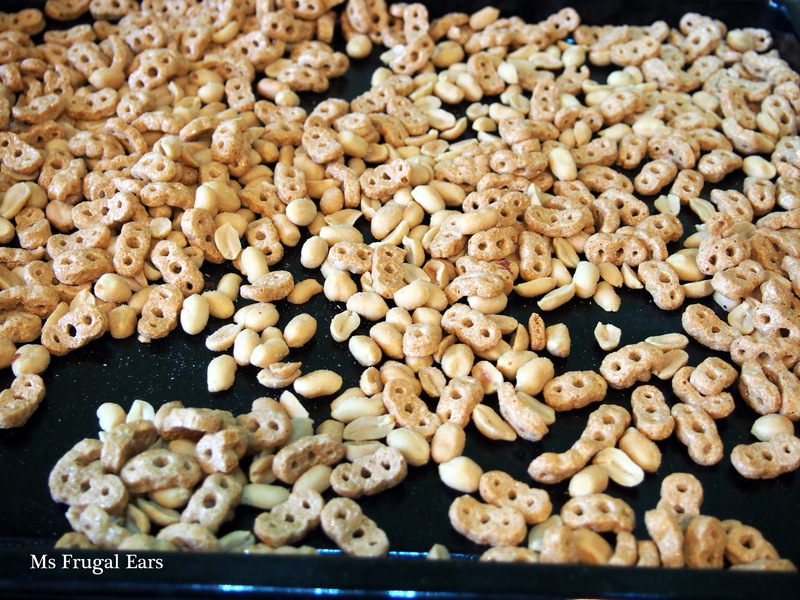 Spread out the POWER GRAIN and peanuts on a large flat tray (such as a cookie baking tray). Combine the spices and salt with the oil. Stir to combine. Spoon the oil mixture over the POWER GRAIN and peanuts, and mix to combine. I found that a spatula worked really well with this. Bake in a low to moderate oven for around fifteen minutes. (Watch it closely, as the POWER GRAIN can burn quickly if the oven is too hot.) Remove from the oven and allow to cool before eating. I hope you enjoyed this recipe. 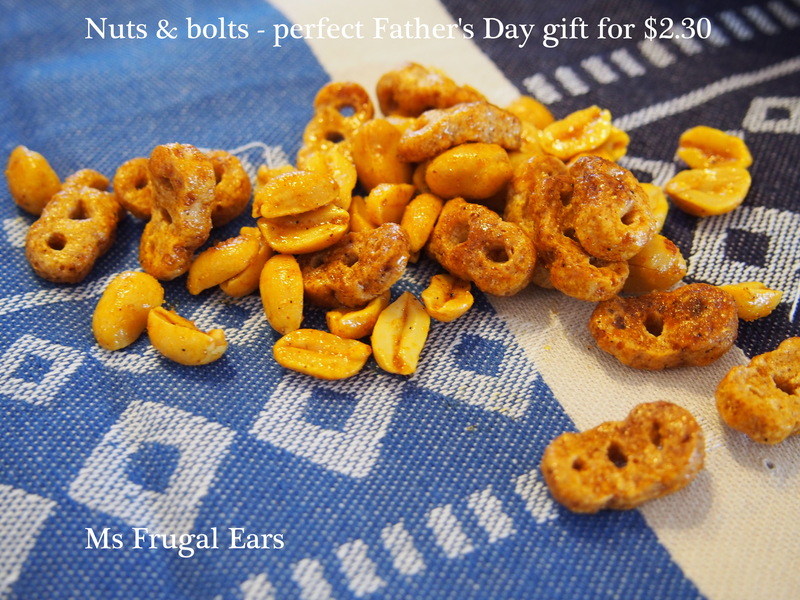 I would love to see pictures of nuts and bolts, or other edible gifts for Fathers Day. Please share on Instagram @msfrugalears, Facebook https://www.facebook.com/weekendparent or Twitter @msfrugal ears. Oh yum! That sounds great! I think I have all that stuff in the cupboard – I might give It a go tomorrow!